Content Master write official Microsoft courseware. 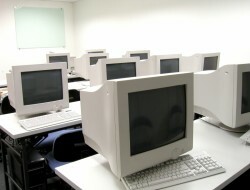 Allix Consulting is involved in writing SQL Server 2005 eLearning and Instructor Lead Training courses. QA is currently the UK's largest technical IT training provider. Microsoft awarded them Global Learning Solutions Partner of the Year in 2003 and European Learning Solutions Partner of the Year in 2004. We write and deliver courses in SQL Server, SQL language, database design and Microsoft Access.